This large condominium complex in Hallendale Beach on the East coast of Florida has two 500 ton IMC cooling towers for a total of 1000 tons of cooling. This building’s previous cooling tower water treatment program maintained 3 cycles of concentration, or 33% waste. 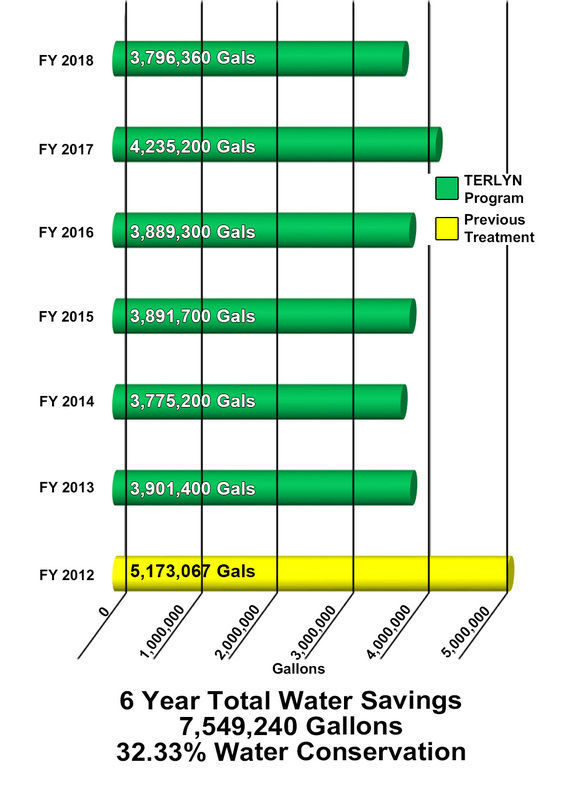 The savings graph represents the total cooling tower water usage previous to installing the Terlyn Program.